"Major changes in flight paths are supposed to be accompanied by public opportunity for comment, and we got none," said a lawyer for the group of D.C. residents challenging the FAA. 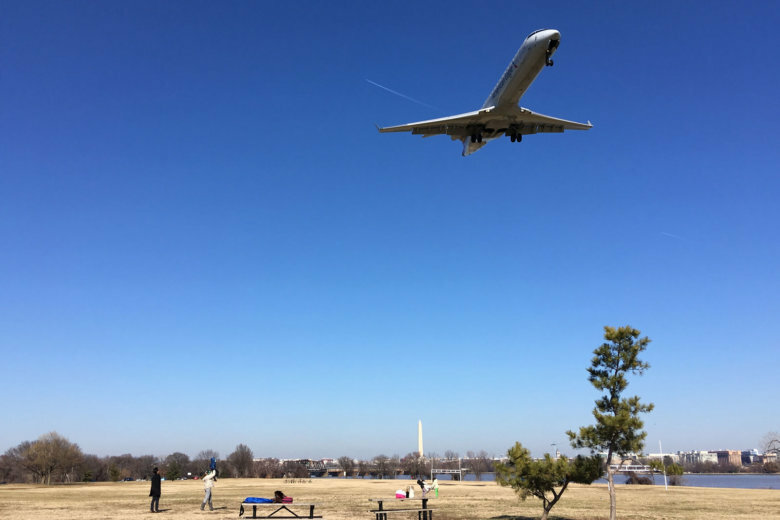 WASHINGTON — D.C. residents concerned about increased airplane noise around Reagan National Airport are vowing to continue their fight against the Federal Aviation Administration even after suffering a legal loss. A federal appeals court ruled Tuesday that a petition from D.C. neighborhood groups would be thrown out because it was not filed in a timely manner. “The universal reaction of all of the associations that make up the coalition that brought the case was very deep disappointment in the court,” said Richard Hinds, the groups’ attorney. Residents who filed the petition want the FAA to reconsider its new flight patterns, saying the agency kept them in the dark when it made changes. But the three-judge panel of the U.S. Court of Appeals for the District of Columbia Circuit said the groups did not meet their deadline to challenge the changes. The FAA made its “final order” on flight patterns in late 2013, but the residents from Georgetown and a handful of other Northwest D.C. neighborhoods didn’t file their petition until 2015. The FAA revised flight paths around the United States under the NextGen plan, which uses more precise, satellite-based navigation to save time, increase how many planes airports can handle and reduce fuel burn and emissions. Noise complaints poured in from across the country from Orange County, California, to D.C. as flights took off at lower altitudes, in narrower paths and on more frequent schedules. The D.C. groups said they aren’t backing down anytime soon. “We can request rehearing from the panel that made the decision or we can request rehearing from the entire court,” Hinds said.